Rainford High Technology College have won an award from St Helens Council for their links with Rainford Tennis Club. The secondary school have run a quality tennis programme, linking in with their local Tennis Clubmark venue, and the success of this partnership was celebrated with an award at the annual St Helens PE Conference. Every year Rainford High run a Tennis Leader Award, which trains young people to help deliver tennis coaching and competitions. 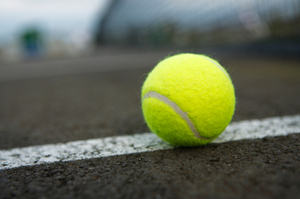 This annual course has had a significant impact on the growth of tennis within the borough. There is also an After School Club every Thursday evening in the sports hall at Rainford High for primary school children, which is delivered by coaches from Rainford Tennis Club and the Tennis Leaders. The school has also been a host venue for Primary Schools Teachers Courses, with all teachers attending receiving training and resources, including AEGON Schools Tennis equipment, for their school. Schools tennis competitions in St Helens have also increased in size thanks to the support of the staff and facilities at Rainford High.